Posted April 6th, 2013 by va3isp & filed under News. 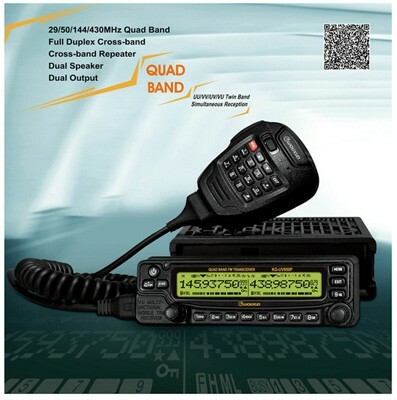 Just got an email from Wouxun and they have announced a QUAD-BAND mobile radio. The latest addition to the Wouxun family will be a 29/50/144/430 MHz radio with all the usual bells and whistles. 8 Scrambler settings with 2 customizable. They are also launching a new handheld design ( Model number TBD ). By the sounds of it it will be a fully feature filled handheld like you are used to with the other models. Maybe just a new case style?